DIY vs. Outsourcing: Should I Build My Own Advisor Website Or Hire a Specialist? We get it! Building a website for your financial planning business is a big step to take! Even though it’s still a very viable option, growing your business is no longer just about word of mouth. Your advisor website is a 24/7 marketing machine. When your sleeping, in meetings, with your family and loved ones it’s still there working for you. Before you get started there are some important questions you need to ask yourself. Is this something that you want to do yourself? Or would be in wise to outsource a specialist to help build your website for you? Both options are great, but what option will work best for you and your firm? With so many options out there, each offering its own set of tools, design and marketing assistance and support, these are all incredibly important factors to consider before embarking on your website design journey. Working with outsourced specialists on your website design can help take a lot of the work off of your plate. It can also expand your options for incorporating more advanced functionality and elements. Obviously, at Twenty Over Ten we specialize in designing websites just for financial advisors, so we have our process down to a science! What does twenty over ten do? When you work with Twenty Over Ten, you get an experience, unlike one with any other designer! We connect with advisors. 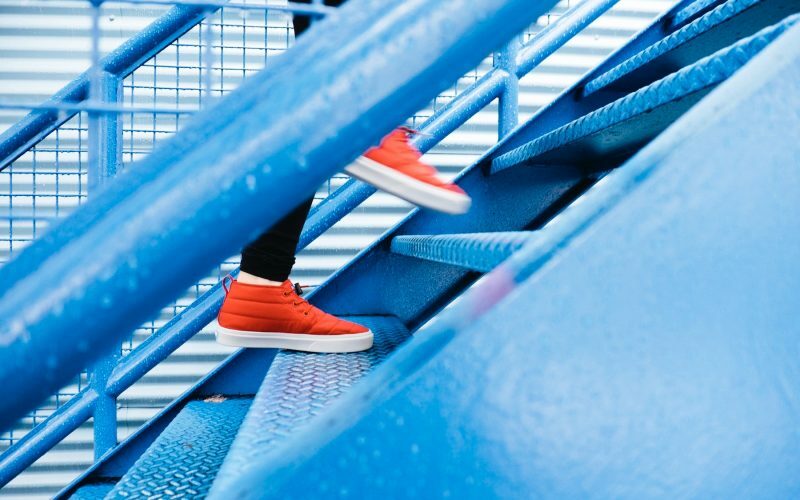 We don’t limit YOU like many other freelancers or providers may, but rather we believe in enabling our clients to explore and tailor their sites for what works for YOU. Our platform allows advisors to easily build unique, beautiful, compliant websites. how does twenty over ten work with clients? This is a question we get a lot from advisors. First and foremost we strive to give everyone the best experience possible. First, we’ll schedule a quick call and demo to find out what you are looking for and determine what package might best fit your needs. This is incredibly important to us to determine right from the start, so we spend time listening and offering guidance because if we both work together, we know that we can create the perfect website. 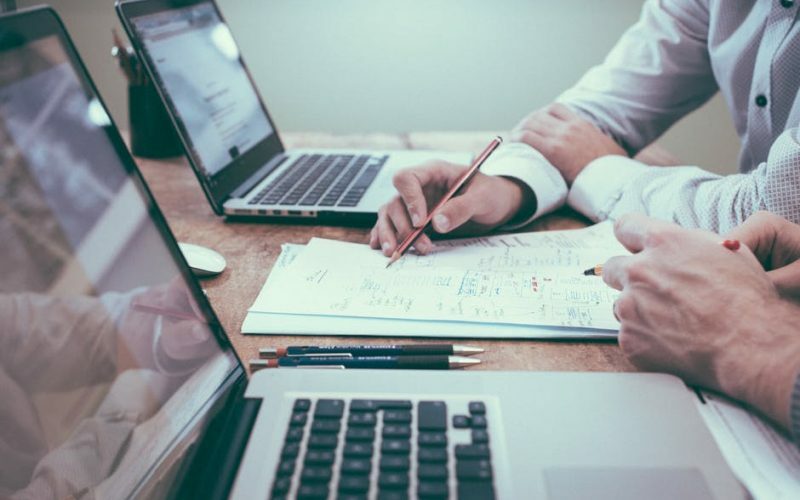 Depending on what level of help you decide you need from our team you will work one-on-one with your designer and/or copywriter to build the most perfect website for your firm. We built the Twenty Over Ten platform because we understand that you have enough on your plate as an advisor. Having to navigate through a clunky, hard to use website is not on your agenda today or anyday. Not only that but it’s important that you remain compliant and secure 🔐 which let’s face it, in finance that is EVERYTHING. And if you’re still craving more marketing assistance our add-on packages are the perfect solution to help you excel in SEO, analytics, social media and copywriting. We currently offer 5️⃣ different beautiful frameworks that we offer to our clients to customize. Each one is hand-crafted by our amazing award-winning designers and they each have very unique features. We know that everyone has different needs and tastes so we let you choose a framework that best suits your company! One of our most popular choices is the Fresnel framework. Incredibly impactful with a full-screen homepage image that immediately captures the attention of your readers. We love the simple setup of Iris with a single-page scrolling system. Never get lost in multiple pages again! This uses big images in the background in order to draw in your audience and wow them! This framework has a split screen style that is unique and makes an impact on those that visit your site. 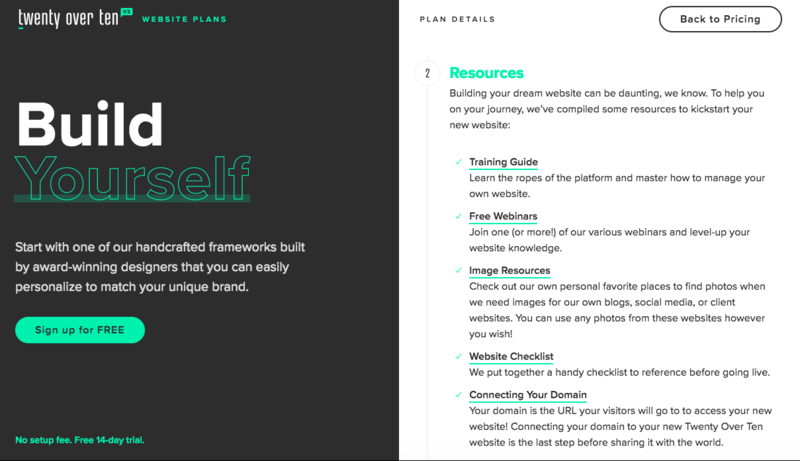 Our Pupil framework is very crisp and polished but with tasteful accents to help your web pages stand out. When given access to the right tools, making your own website can be a pretty simple process, believe it or not! We know that as a financial advisor you maybe don’t see yourself as much of a designer or writer and so it can be intimidating to think about writing copy, dealing with design elements and all of the other tasks that go into creating your own website, but fortunately, your options are no longer limited. 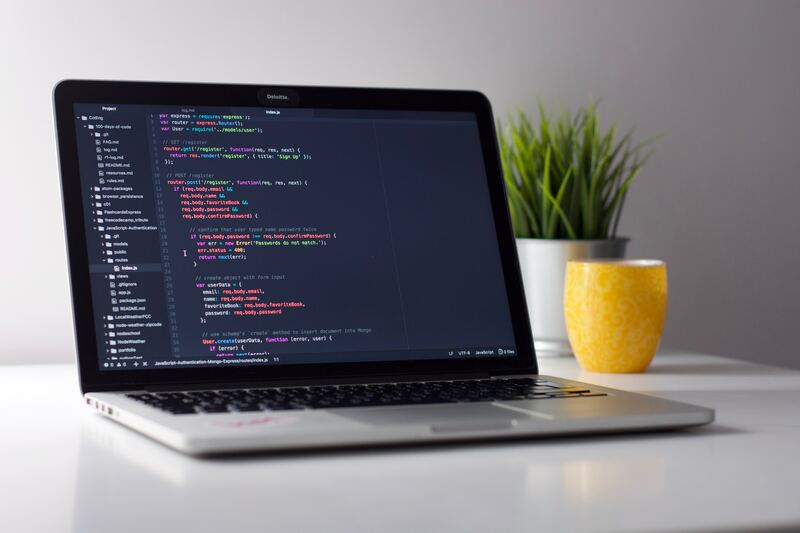 Technology has changed for the better and website platforms like Twenty Over Ten allow you to create something beautiful, and compliant in just a few simple steps on your own without needing to know a single bit of code. Making your own website can be a rewarding experience and it can be much more affordable at times, as well. So, perhaps this will be the best option for your advisory firm? If so, check out some of our DIY information below. what is Twenty over ten’s DIY package? If you choose to go the Do-It-Yourself route, that’s great! We can’t wait to set you up for success as you create your own beautiful and compliant advisor website. Not to worry, we won’t just toss you into the deep end without guidance. We offer plenty of resources complete with video tutorials, a robust training guide and even FREE marketing webinars to help you out as much as possible. Carrington Wealth Advisors based in Dallas Texas created a beautiful site with our self-build option. Carrington uses unique images, a vibrant color scheme and a simple design that grabs your attention right from the start. 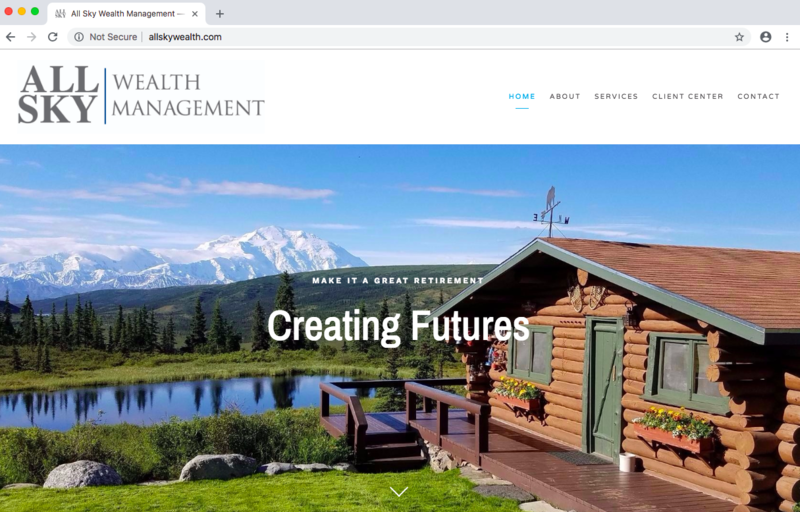 Ahhh the All Sky Wealth Management site, we just ❤️their beautiful background images and crisp, clean designed pages. 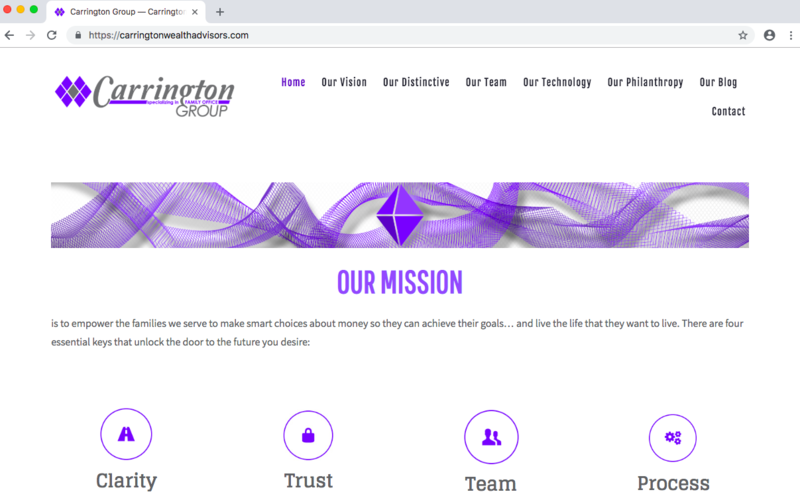 They use straight forward, actionable call-to-action (CTA) buttons and took a very “no-nonsense” approach to their website. Heirloom Financial Services created a 💣 website leveraging our DIY option as well. They use direct CTA’s throughout and even took it one step further to integrate Calendly to schedule meetings with their clients and prospects. What’s not to love about these sites?! Each one of them was able to create a unique and beautiful website all on their own! It’s a great way to express yourself and find what works best for you. Even with a beautiful website with multiple visitors, if you aren’t including a CTA on your website, then you probably won’t be seeing the type of conversion rates that you want! If you do not ask your visitors to take some action once they land on your page, then you are missing a very important part of your advisor website! 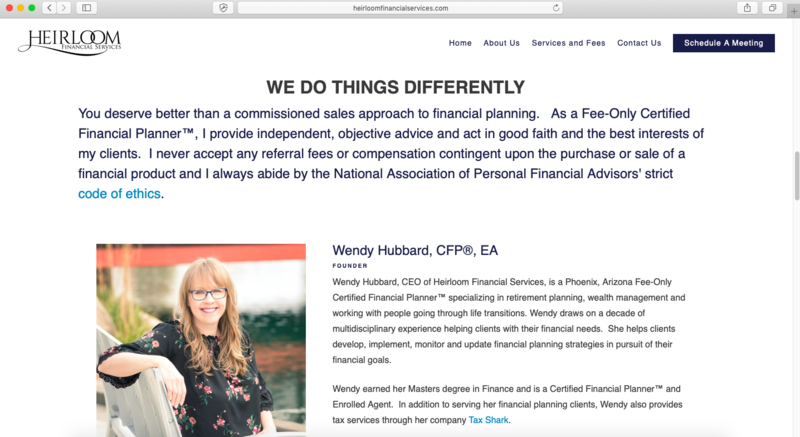 Determining the next move that your visitors should make Choosing a financial advisor is a big step, so many of your visitors probably aren’t ready to make a decision and that is totally okay! By having them sign up for your blog or newsletter, you can keep in touch with them and already start to form a relationship, so when they time does come, you will be first in mind! The CTA’s don’t have to be anything fancy! Just check out some of the common buttons that are used below! 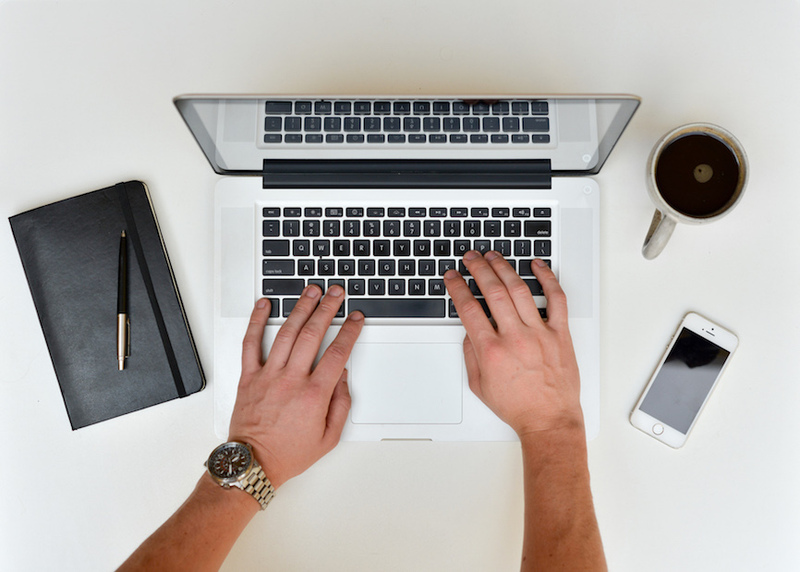 These CTA’s can lead to another page on your website with more information, a form, a meeting scheduler, social media channels, blog posts, or any place that will help you better connect with prospects! Make it your own and have fun with it! Blogging not only can improve your SEO through added keywords for your geographic location and niche but it can also lead to an increase in site visitors and engagement. This can ultimately help your site rank higher in search engines like Google helping your site to land on the first page of search results where potential clients can more easily find you. Blogging is a great way to build relationships and credibility with prospects and current clients. Blogging not only informs and proves that you are a thought leader in the industry, but you can make them more personal. Humanize your brand and show everyone who you are! It’s all about letting someone get to know you both before and after they are a client. Blog posts drive engagement and give people another reason to visit your website. Within the Twenty Over Ten platform your blogging capabilities are endless! 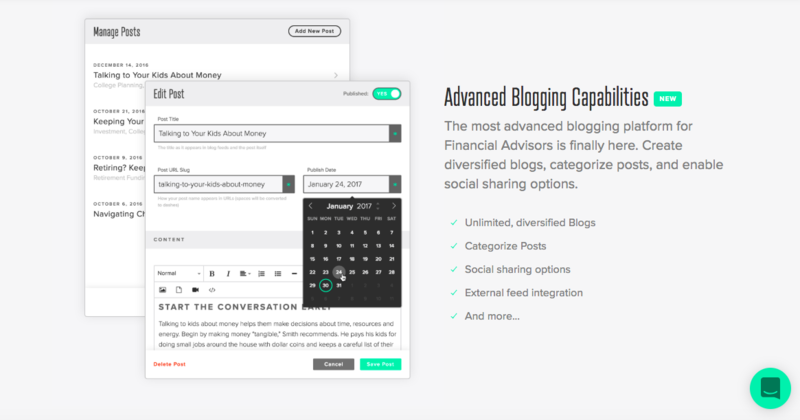 With unlimited posts, social sharing options, baked-in SEO options and much more we’re making blogging easy & compliant for financial advisors. Not interested in penning your own posts? That’s okay! 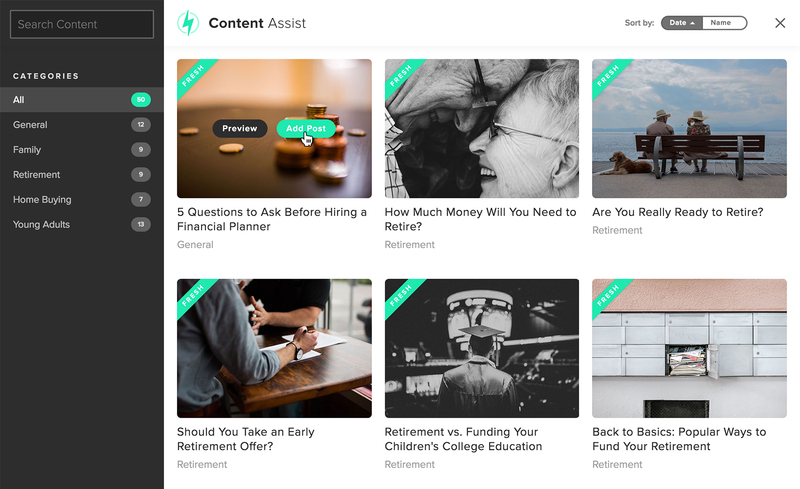 Last year we debuted Content Assist, a new type of content offering solution on the market that was developed specifically for financial advisors to assist them in creating blog posts. Built into Twenty Over Ten’s proprietary website-builder, users are able to choose blog posts by category (retirement, home-buying, young adults, etc. ), load them into their website, and then edit and further optimize the content for search engines. Advisors have the ability to customize and edit the content to add their voice, SEO keywords, and further promote their expertise, or use the content as-is. Landing pages are a great resource for any website – DIY or not! On a platform like Twenty Over Ten, we make landing pages super simple to create and once they’re in place, they are a very powerful way to generate new leads for your business! What exactly is a landing page? Simply put, they are pages on your website dedicated to a message or a niche that is not in the main navigation on your advisor site. They are the perfect tool for marketing campaigns because they can stand alone, which, as we mentioned above, they are not in the main navigation and can be accessed by a certain link. You can add forms for lead generation and CTA’s for other actions you’d like visitors to take. 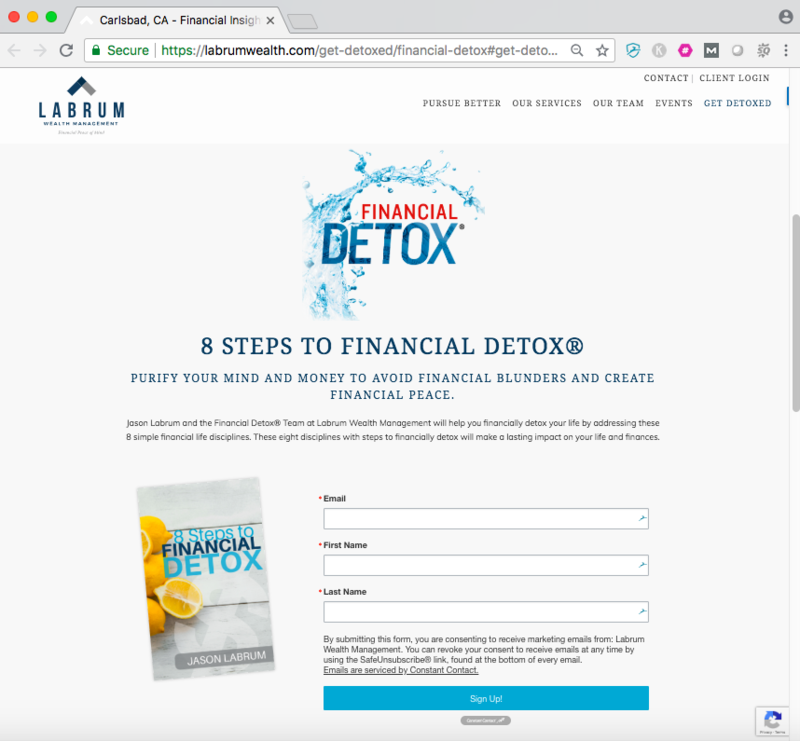 In the example above, Labrum Wealth Management has created a landing page via the Twenty Over Ten platform that has a sharp design with a strong headline and CTA, which is the perfect formula for a killer landing page. We hope that this has helped you to decide if you would like to do-it-yourself or outsource when it comes to building your website. Again, it all comes down to how you feel about a redesign and what you are most comfortable with! Either option is sure to be awesome, so take your pick to begin the exciting journey of website redesign!